Just past Kettering Hospital, you will find our dealership, which features various Mercedes-Benzs, 10 minutes from Rothwell. Not only does Mercedes-Benz produce elegant cars, but its vans are highly popular too. With its excellent collection of cars, busses, and commercials, Mercedes-Benz has shown itself to be a superior producer of all motors. 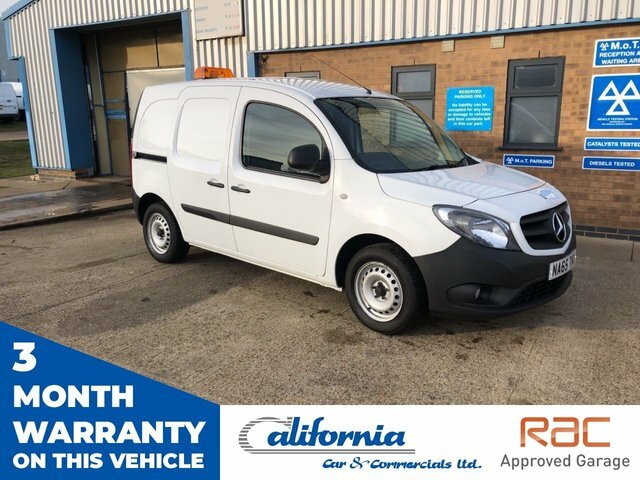 If you are interested in this manufacturerÕs premium commercial vehicles, visit California Car & Commercials to see our extensive selection, or call us to book a test drive. Alternatively, if your Mercedes-Benz is in need of servicing or repairs, bring it to our RAC Approved Garage and we will get it back on the road in no time.